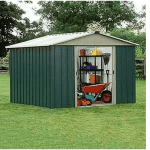 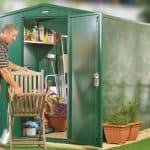 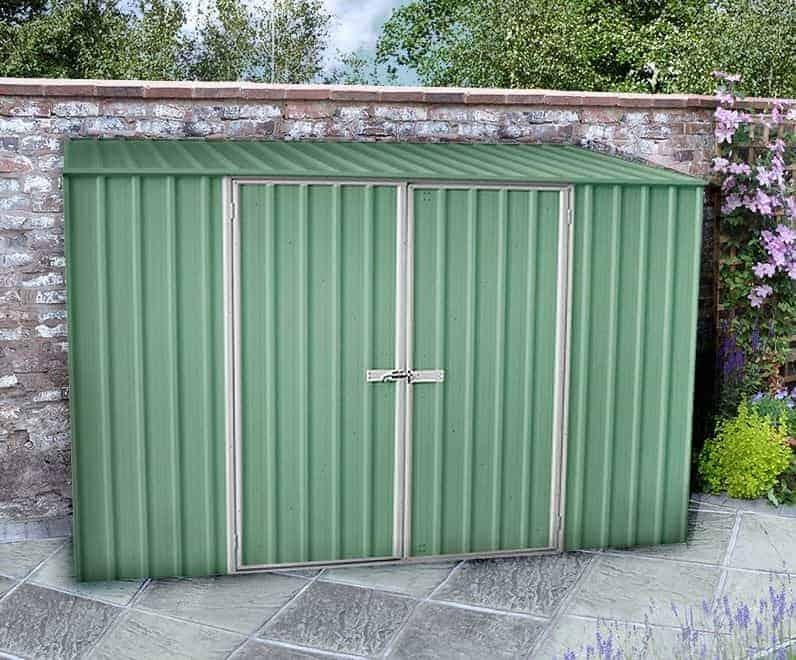 This metal shed is the perfect place to store your items in the garden. 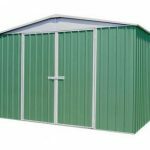 It is tough and durable and comes with a 20-year guarantee against rust perforation. 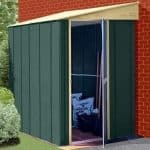 This useful guarantee means that you are able to rely upon the building to protect the contents throughout the year. 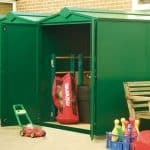 There is a large hinged double door as well, so you can open it and gain instant access to your equipment. 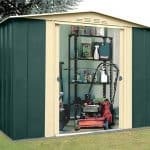 There are full instructions and an assembly kit that comes with the unit, and you also have the added benefit of having a construction that doesn’t require any maintenance.